Spring is here and once again the Bancroft and Area Stewardship Council is hosting its annual tree and shrub sale. For a minimal cost, those interested in enriching biodiversity and greening their land can purchase trees and shrubs from BASC that are suitable for reforesting open areas, naturalizing shorelines and creating wildlife habitat. 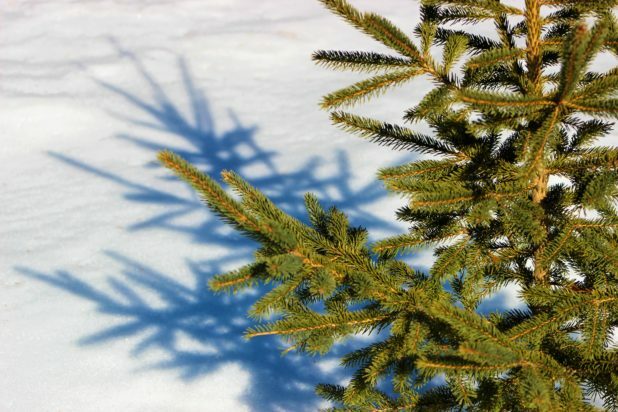 Stewardship council chair Ian Hendry said the council is proud to be able to provide thousands of quality, low-cost trees and shrubs to people in the Bancroft area. Hendry said there are many reasons why it is important to plant trees in the Bancroft area. For one, trees are like the lungs of the planet, he said. “They absorb carbon dioxide and emit oxygen to help reduce the greenhouse effect,” said Hendry. Trees serve the ecosystems in which they grow in a multitude of ways, explained Hendry. For instance, he said their root systems help prevent erosion. When planted along a shoreline Hendry indicated that their shade also helps to cool the water, which can benefit some native fish species. Furthermore, trees roots and branches can also provide fish and other marine animals with cover and sanctuary from predators. He said it is also important to leave native aquatic plants along the shoreline because they absorb sulphates, which leads to a much healthier aquatic ecosystem. Complimenting the wide variety of ecosystem services trees and shrubs provide are a the many health benefits they provide. “It has been proven that being in the forest can actually lower a person’s blood pressure,” Hendry said. According to Hendry, this year BASC’s tree and shrub program features new species, including an Algonquin bundle. He said the Algonquin bundle consists of three species that have a medicinal, spiritual and/or practical significance to the Algonquin people. To raise funds for its various stewardship initiatives, Hendry said BASC is also selling bluebird boxes and bat abodes this year. Considering BASC’s trees and shrubs will be available for pick up in early May, Hendry advises anyone interested in participating in the program to place an order on their online store at www.bascstore.ecwid.com. For more information on the Bancroft and Area Stewardship Council and what it has planned for the year ahead visit their website at: www.bancroftstewardship.ca; or cal: 613-332-6246.